After 14 months of hard work, the next generation of Loggly has been released. 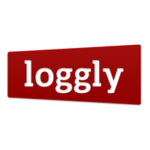 It’s been a great time to be part of the Software Infrastructure team at Loggly and we have put together a superb log aggregation & real-time analytics platform. We used a combination of custom log Collectors, Apache Kafka, Twitter Storm, ElasticSearch, and lots of secret sauce. You can find more details about the technology stack from my Loggly blog post.